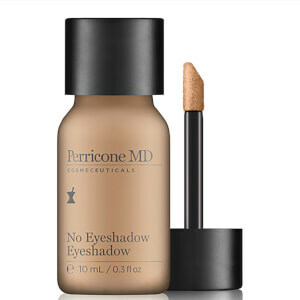 Sculpt and define your features with the 'No Bronzer' Bronzer from Perricone MD, a contouring formula enriched with broad spectrum SPF 30 for expert sun protection. Delivering a warm veil of colour onto the skin, the youth-inspiring bronzer harnesses the powerful effects of vitamin C ester, a fat-soluble form of vitamin C which helps to minimise discolouration. Its versatile, adaptable colour mimics healthy skin pigments to create a universally flattering glow, helping to create shadows in natural contours of the face for a sculpted complexion. Helping to brighten and diffuse imperfections, the bronzer is perfect for adding depth to the forehead, cheekbones and jawline. - K.N. Shake well to disperse minerals and pigments. Dispense 1-2 drops into palm of hand. Dot on forehead, cheeks, and chin.